Installation, removal, servicing and repair of Luton Stairlifts. 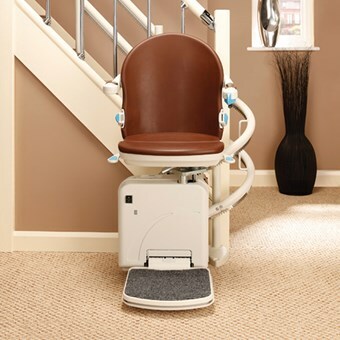 Stairlift prices from £800 ex VAT. 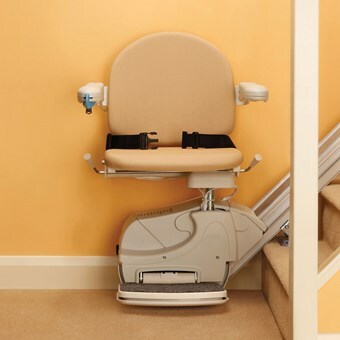 Our Luton-based Stairlift engineers provide free quotations for new, secondhand, and hire Stairlifts, and undertake Stairlift servicing and repair. We also remove unwanted Stairlifts. We are in The Mall (Carver Care and Mobility, 2 The Gallery, The Mall, Luton LU1 2TW, 01582 487878). We also instal Stairlifts in Dunstable and for thirty miles around Luton. We are accredited by Luton Council Trading Standards' Buy with Confidence Scheme, and instal Stairlifts for Luton Borough Council. 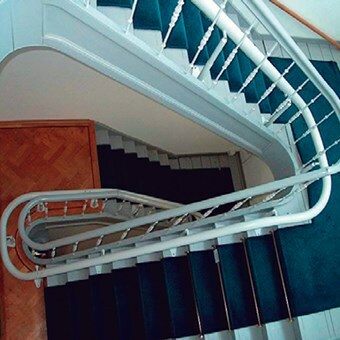 We instal both straight and curved stairlifts in Luton, both inside the house and externally if required. Curved stairlifts are required where there are for example landings between two flights of stairs, or the staircase bends round. 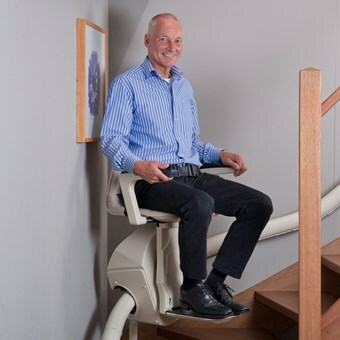 We instal stairlifts in and around Luton and Dunstable from tried and tested manufacturers such as Handicare (Handicare) Meditek (Meditek) and HomeAdapt (HomeAdapt). Once you make contact with us at our Luton shop, we will arrange a convenient time for us to assess your staircase and your needs, to determine the best Stairlift for you. We do not pressure-sell and we always seek to find the best value solution for you. We will quote you a price and give you a written quotation. 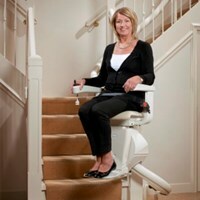 On payment of a deposit we will be able generally to instal your stairlift in Luton within a few days. 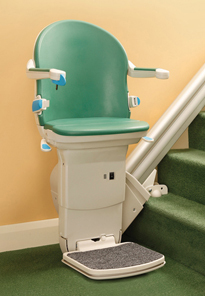 For Stairlift servicing, removal and repair please call our Luton team to make an appointment (01582 487878). 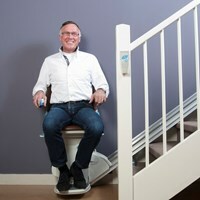 Please contact us now in Luton and our Stairlift team will help you. The phone number of Carver Care and Mobility in Luton is 01582 487878. 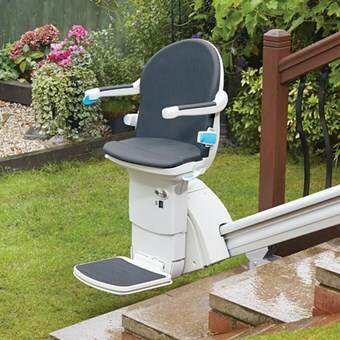 We also sell thousands of mobility aids from our Luton shop including Riser Recliner Chairs, Wheelchairs, Rollators, Mobility Scooters, Electric Profiling Beds, and Equipment for Kitchen and Dining, Toileting and Incontinence, and the Bedroom. Please do contact us for advice about any of our activities.